Candy Bouncer is proud to offer you the very finest in outdoor Christmas decorations. 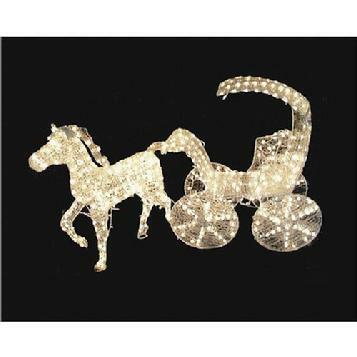 One of our best sellers is the Christmas horse and carriage. Christmas yard decorations are a family favorite and we are happy to be a small part of your Christmas fun. Lighted horses and Christmas carriages and all LED Christmas decorations are very popular choices during the xmas season. Christmas yard decor and DYI Christmas yard decorations are also a blast. Feel free to be inspired for DIY projects as well. Christmas horse and carriage decorations have been the family favorite and our biggest seller for the last few Christmas seasons.